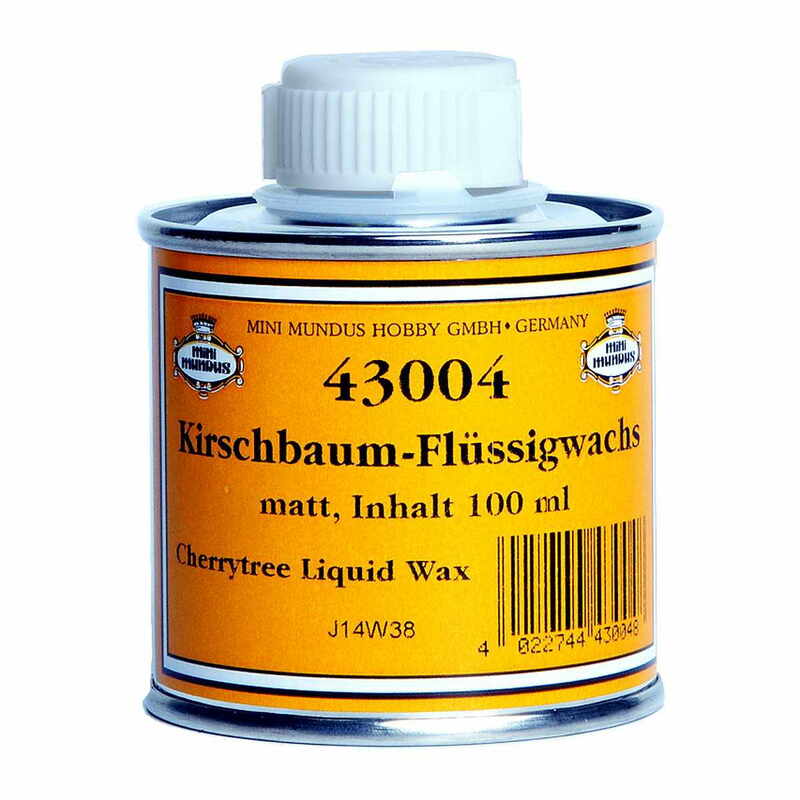 The Cherrytree liquid wax is sold out and will no longer be produced. The liquid wax contains no solvents and consists of the natural products linseed oil, beeswax, carnauba wax and various color pigments with an iron oxide base. It is perfectly matched to the fine wooden surface of the Mini Mundus construction kits.